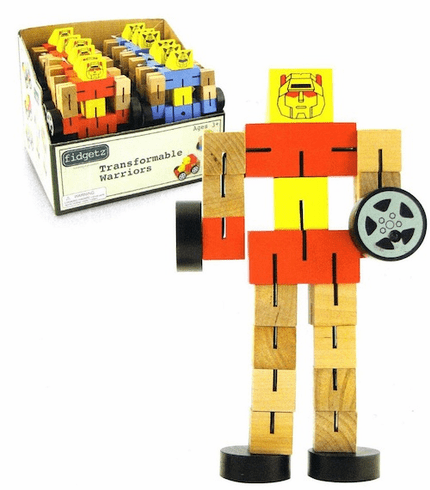 Constructed of hard wood blocks, these transformable Fidgetz can be shaped into warriors, vehicles and whatever else kids can dream up! Each convenient countertop display pictures construction ideas and features a colorful, eye-catching assortment of Fidgetz. Approximately 7.5" Tall. Price per figure.